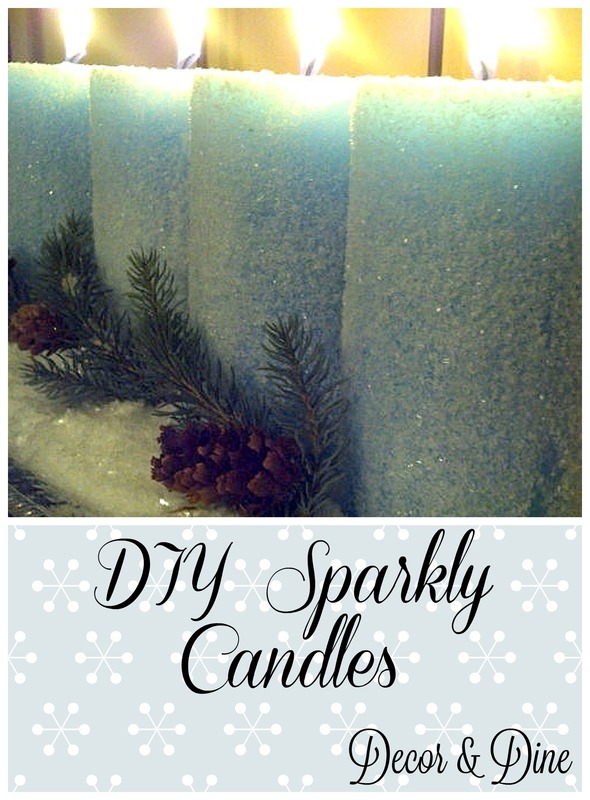 These sparkly candles are the easiest project, anyone can do it! 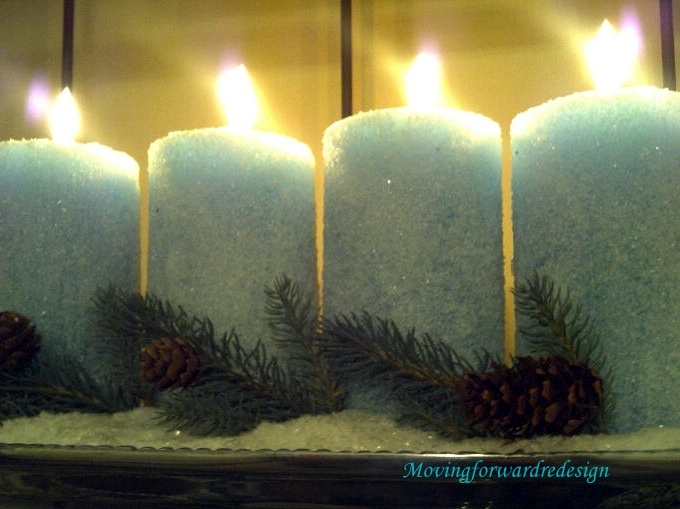 All you need are some inexpensive candles in any colour, Mod Podge and Epsom Salt! 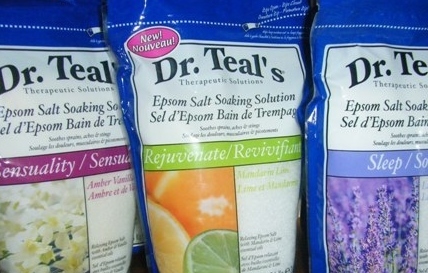 I happened to find this Epsom salt at Walmart and wanted to try it for the scent but you can use any kind or your favourite scent. I also added Epsom salt to the tray and to add extra sparkle I added some sparkly fake snow…you don’t need much. Have fun decorating this Holiday season!! I don’t know how you can contact Rhonda. I think that my warming the image it transfers on to the candle and then you just peel the tissue off (once you see that the image is on the candle). Let me know if you try it. 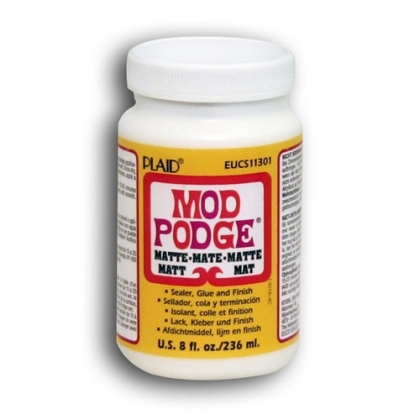 you can also check a craft store in your area like Micheal’s. They may have something else that will do the job. I got the link from you, but it really does not explain how it is done, and do I take the tissue paper off while warm? Is there any way I can contact Rhonda Bonifay? I have never put photos on candles Arlene but I did find a link for you that might be helpful. Let me know if it works. Arlene you can subscribe via email. There is a stop on the sidebar to enter your email or through bloglovin or linkyfollowers, also on the sidebar. Thanks Arlene! We can never have too many candles. 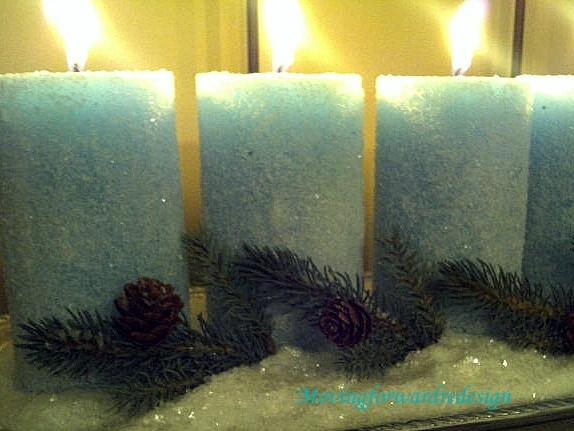 The candles were blue Emanuela. The epsom salt is white, giving it the sparkly look. You can use white candles or any colour to match your decor. 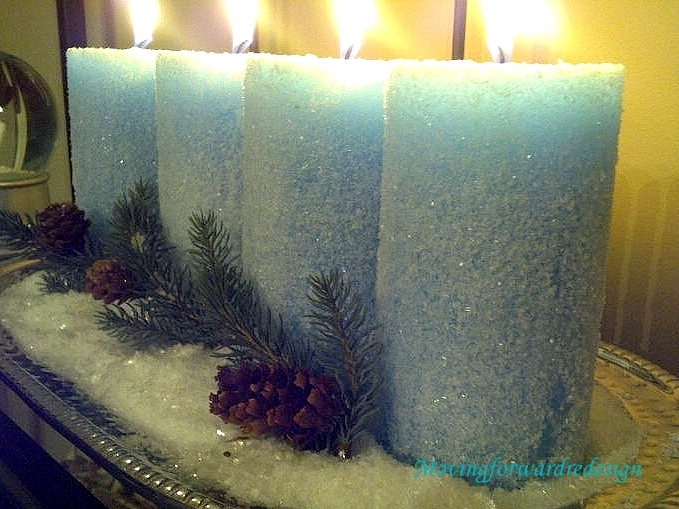 Do the candles look blue because they were blue to begin with or are the epsom salts blue?